To grow strawberries it is accepted in many countries, as this fragrant and surprisingly useful berry is a common world favorite. Strawberries can be grown in diverse environments: in the garden, in the greenhouse, and even on the windowsill. Specifics of care of a plant depends on the variety of features, external conditions, and soil characteristics. However, to care for strawberries can be in accordance with certain rules, which apply to planting, and care of the older plants in the different periods. 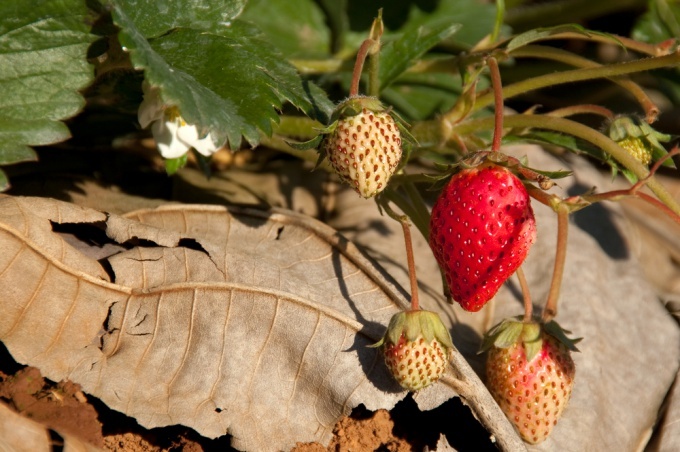 The quality of the soil determines the harvest of strawberries in the future and the health of the plant, as well as the probability of errors of new saplings. Therefore, as a soil preparation should be considered not only the plowing and cleaning of weeds, but the chemical analyses that allow to identify its acidity and the deficit of certain substances which can easily be fill by the correct choice of fertilizers. As you know, it is very important to keep strawberries fresh by layering plants. This is necessary in order to sick of the bushes, the yield of which leaves much to be desired, can be removed from the site. However, it should be remembered that not all young seedlings can give in the future a good harvest. Young bushes should have the roots, the length of which is not less than 9 centimeters. It is very important to plant strawberries 042F into the ground in a timely manner (early autumn or spring) late planting is very dangerous. For example, if the plant does not take root and will not grow to the cold weather, it will simply freeze, even if it is covered for winter specialized material. Grow strawberries and harvest without a proper watering regime is simply impossible. It is worth saying that this berry is quite whimsical in relation to irrigation: it needs to be intense enough, but not excessive, because the berry perishes in the damp conditions. It is important to provide the culture with sufficient amount of moisture, so its deficiency reduced growth rate of strawberry bushes, as well as their productivity. The appearance at strawberry bushes signs of mildew and decay indicates excessive moisture in which to grow strawberries is simply unacceptable. Strawberry does not tolerate the neighborhood with the weeds, even if they are in the aisles. That is why it is important to carefully clean the beds of weeds through weeding and also specialized chemicals – herbicides. Important when using chemicals to control weeds not damage the plants themselves. To reduce the frequency of weeding is possible after treatment of the beds and mazuradi to cover them with sawdust or straw. Also for ease of weeding and caring for strawberries, it is important to seat the bushes are not too dense. Observance of these simple rules ensures a high yield of strawberries and the health of the bushes, and the absence of any difficulties and problems in the care of the plant.